Insurance- this is a big one. You want to make sure that your pet sitter is a pro. To do that you’ve got to find out if he or she is insured against negligence and accidents. If they aren’t then they’ll be opening themselves up to potential trouble, and if they aren’t careful enough to protect themselves, then it doesn’t give you much confidence in their determination to care for your pet, does it? What sort of related services come with the pet sitting? Will she be able to groom, walk, train, and play with the dog or cat? Or is this an exclusive “feed and let out” sort of situation? You want to get the absolute maximum amount of service for your dollar here. What sort of training or experience do they have? This could probably be taken care of in the phone screening process, but you want to reinforce what you know about the sitter. So be sure to ask again, and be aware that plenty of personal life experience with dogs and cats can translate pretty well in these situations. We take it seriously, but it’s not rocket science. Look for a written contract. Whenever dealing with a service professional in your home it’s nice to have terms written out on paper that can easily be referred back to. Find out what emergency procedures the sitter will take. Say your pet gets injured? What steps will you’re the sitter take to insure they will be taken care of? Better to find out ahead of time just in case. These are some basic tips to gear your mind toward the important stuff. This is by no means a comprehensive list, and you should definitely come up with your own questions according to your own priorities. 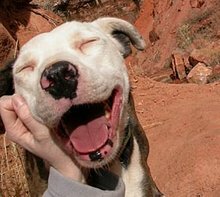 Once you’ve chosen your professional pet sitter the difficult part is over! You can head back to the coal mine with the peace of mind that your cat or dog is well attended while you’re away. Not only that, but they’ll be better behaved, have more exercise, and be much better tempered from the human contact that you’ve provided for them in your absence. Pat yourself on the back, and scratch them behind the ears because you two make an awesome team! 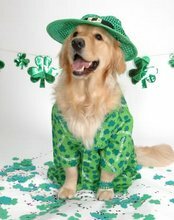 Stay tuned for more pet tips from your friends here at Petbucket, and have a happy St. Patrick’s Day, everyone!